The Korean People’s Army [KPA] General Political Department [GPD] (which is also called the General Political Bureau) is responsible for political and ideological indoctrination of officers and service members of the Korean People’s Army. It is also responsible to reinforcing the Workers’ Party of Korea’s [WPK] political control of the military. Political military officers (political commissars) exist in KPA units down to the company level, augmented by political instructors who guide political education, indoctrination and party life in the KPA, track the movements and activities of officers, conduct active surveillance on commanders and direct irregular ideological indoctrination on officers and service members. In addition to that, the GPD controls numerous social and cultural institutions, conducts financial audits over KPA-owned trading companies and production units and is involved in information operations targeting the ROK. Article 51 of the Korean Workers’ Party Charter outlines the role of political bureaus established by the Party Central Committee (CC KWP) in various sectors of DPRK society. The General Political Bureau of the Korean People’s Army and its subordinate organs exercise the functions of a political unit of the appropriate party committee and direct the political work of party organizations within the Korean People’s Army. The GPD has numerous subordinate bureaus and sections. 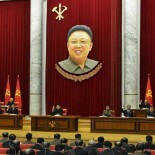 The Organization Bureau directs the WPK (Party) organization and political commissars within the KPA. Through its Party Life Guidance Section and Party Organization Section, it is responsible for programming various political or ideology-related activities conducted within KPA units (from the KPA’s high command organizations in Pyongyang to military units deployed throughout the DPRK) including political education and study sessions, meetings of KPA basic party organizations and other activities related to Party Life. Meetings and activities of the KPA’s basic party organization are used to conduct over surveillance on KPA service members and officers. As in DPRK civilian society, an individual’s Party Life is assessed, scored and used as the primary criteria through which one’s job advancement is determined. The Organization Bureau’s Personnel Section is responsible for human resources, military promotions and job assignments of the KPA service members (noncommissioned officers and enlisted troops). It also allocates personnel through orders to the Ministry of the People’s Armed Forces [MPAF] Military Mobilization Bureau. The Organization Bureau also has an accounting and auditing section (sometimes called the Foreign Currency Enterprise Section) which audits the three dozen trading corporations and production units under the KPA General Staff and the MPAF. The Organization Bureau has approximately eight branch offices located throughout the country in close proximity to KPA corps-level units. The branch offices have a similar, albeit streamlined, structure as the Organization Bureau in Pyongyang. The Organization Bureau’s branch offices control and coordinate GPD personnel in their respective region and link with the military committees under the provincial, city and county level WPK committees. The Propaganda Bureau is responsible for the production and dissemination of a variety of information, ideology, news and cultural works to KPA units. It links with the Organization Bureau, and the KPA’s basic party organizations subordinate thereto, to provide political study materials such as books, essays and pamphlets. It distributes hard and electronic copies of the KPA’s newspaper Choson Inmingun to KPA units and operates radio and television broadcasts of information and cultural works in KPA units. The Propaganda Bureau also directs cultural activities within KPA units such as sketch and painting courses and contests, music practice and rehearsal and the performance of comedic skits. Like the WPK Propaganda and Agitation Department (with which the GPD Propaganda Bureau coordinates its activities, the GPD Propaganda Bureau is responsible for scheduling these activities, the production of the content and its distribution or dissemination. To that end, the Propaganda Bureau supplies personnel to KPA units that serve as lecturers, instructors and music directors. The Propaganda Bureau is also responsible for directing sports and physical culture activities, practices and competitions within KPA units. The GPD Propaganda Bureau is also responsible for the layout and design of revolutionary museums located on some KPA bases. It is also for designing and producing the text, photographs and artifacts that are displayed in the “revolutionary history” rooms located at numerous KPA units. These “revolutionary history” rooms detail previous visits, interactions and communications (including awards and titles) with the late DPRK President Kim Il Sung [Kim Il-so’ng], late DPRK leader Kim Jong Il [Kim Cho’ng-il] and current leader Kim Jong Un [Kim Cho’ng-u’n]. The Propaganda Bureau controls several large cultural institutions at the national level. It operates and maintains the April 25 House of Culture in Pyongyang, which is the venue for numerous national events including the 7th Party Congress in May 2016. It also operates and maintains the Victorious Fatherland Liberation War (Korean War) Museum. The Propaganda Bureau controls and operated the KPA Publishing House which is responsible for the authoring and publication of books, monographs and quarterly periodicals distributed to KPA units, as well as text books used at DPRK military universities and training centers. It also controls the April 25 Sports Team, which is involved in over a dozen types of sports and athletic competitions and which fields athletes and teams that participate in international competitions; arguable, the April 25 Sports Team is the DPRK’s most prestigious sport group. Finally, the Propaganda Bureau owns and operates the April 25 Film Studio which produces feature films, documentaries and children’s cartoons. The GPD also operates the Kim Il Sung University of Politics, which is located in north-central Pyongyang. The university is responsible for the training of GPD officers and other personnel. It is also where KPA commanders and general-grade officers are automatically sent between deployments or job assignments. Senior KPA personnel are also sent to the university as a disciplinary measure in lieu of dismissal or demotion. 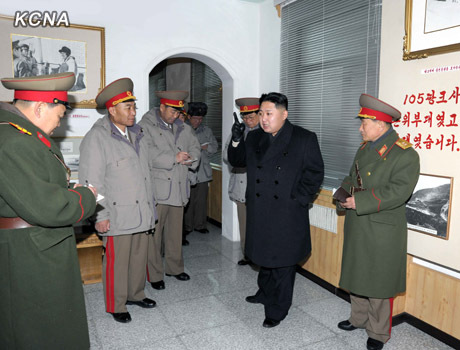 During the 12-week course, KPA general-grade officers attend political study meetings, undergo a debriefing process and participate in self-critique sessions. The GPD Enemy Disintegration Unit is responsible for information operations targeting ROK civilians and military personnel near the DMZ. The unit formulates the content of pamphlets and radio broadcasts and operates and maintains loudspeakers through which it broadcasts toward the South. The Enemy Disintegration Unit’s content and activities are subject to the approval of the WPK United Front Department. Other GPD components include the Cultural Liaison Bureau, the Statistics Bureau, the Special Political Section and the Inspection Bureau. 47. A party organization is organized in every unit of the Korean People’s Army, and all party organizations within the KPA function under the direct guidance of the KPA party committee. The KPA party committee shall function directly under the Party Central Committee, work under its direction and regularly report its activities to the Party Central Committee. 50. Each party committee of the KPA should maintain a close working relationship with local party organizations. With the approval of the Party Central Committee, the KPA party committee may recommend political and military cadres to become members of the provincial, city or county party committees or the primary party committees where they are stationed. The KPA General Political Department is part of the troika of high command organizations that comprise the DPRK’s military forces, along with the Ministry of the People’s Armed Forces (administration, logistics, rear service and military diplomacy) and the KPA General Staff (the KPA’s conventional service branches and special operations forces). The GPD is technically subordinate to the State Affairs Commission and the WPK Central Military Commission. The GPD reports to and its operations and activities are directed by the WPK Organization Guidance Department [OGD]. The incumbent GPD Director serves concurrently as Chairman of the KPA WPK Committee. Historically the GPD Director has also been a member of the WPK Political Bureau Presidium and Vice Chairman of the State Affairs Commission (and prior to that, the National Defense Commission). This combination of state and party positions established the GPD Director as one of the top four officials in the DPRK’s formal power hierarchy, assuming precedence over the Chief of the KPA General Staff and Minister of the People’s Armed Forces. In the last 25 years, the GPD has been subjected to two large-scale inspections by the OGD. The first occurred during 1996-1997 following the death of GPD Director Marshal O Jin U [O Chin-u] and targeted Marshal O’s principal deputy, Colonel-General Ri Pong Won [Ri Pong-wo’n] who was subsequently executed. During the summer of 2017 another inspection of the GPD was initiated by the WPK leadership and focused on financial malfeasance and insubordination by the GPD’s political commissars. Several GPD commissars were executed and the GPD Director, Hwang Pyong So [Hwang Pyo’ng-so’] was removed from office and returned to his previous position as an OGD deputy director. The current director of the GPD is General Kim Su Gil (Kim Su-kil), who was appointed to the position in May 2018. General Kim’s appointment occurred following interim leadership of the GPD by VMar Kim Jong Gak (Kim Cho’ng-kak) from late 2017 until the spring of 2018. The KPA General Political Department was established in October 1950. Its current incarnation has existed since the 1960s as a mechanism for party control over the KPA. Kim Jong Il began his political control over the KPA through the GPD in 1975 with a campaign of “Kimilsungism” of the military. Because of its role in regime and succession politics in the 1970s the GPD was subject to bureaucratic infighting.